Hi there!! 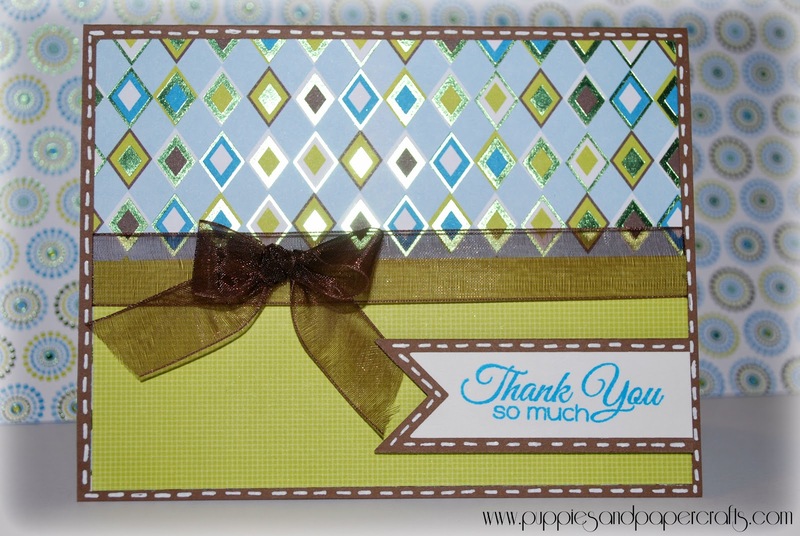 I recently made some thank you cards to keep on hand for hubby to use when needed. He always gives me a weird look if I hand him one with lots of flowers and pink on it lol! So I decided to make some simple masculine cards that he wouldn't mind giving to others. I actually really like how it turned out! I used my DCWV Green Tea Stack, Jaded Blossom Simple Sayings and the Flag Die! I LOVE them!! They are such cute, but in a manly way! Great job as usual! Love. Love your masculine card it's pretty yet manly, LOL! OOH, I like, I like a lot! the ribbon is just perfect!